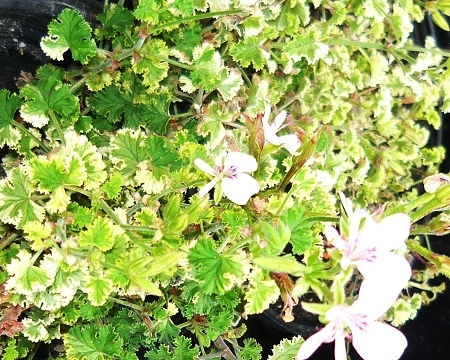 Gooseberry, or sometimes called "Peach" scented geranium features small crispum type variegated green and white leaves on tall upright growing stiff stems. Leaves have a fruity fragrance. Small lavender colored flowers when in bloom. Perennial zones 10-11+ Live starter plant in 3 inch container.